"There is a little-known Oklahoma tax law that allows taxpayers to make a tax-deductible donation to a private school scholarship program and get a tax credit of 50 percent of the amount of their donation," writes Debbie Mueggenborg, CPA. I encourage you to read her entire article in the Bartlesville Examiner-Enterprise here. State Sen. Kyle Loveless believes that many of the dollars currently paying for administrative overhead should be redirected to the classroom. Here's his recent conversation with Michael Carnuccio on FOX 25. Every year, thousands of Oklahoma children fall victim to a debilitating condition: illiteracy. More than a third of Oklahoma's public-school 4th graders cannot read at even a basic level. The numbers are even worse for minority students. Many of these children, thinking there's something wrong with them, will go through life with unspeakable distress. As their frustration mounts, many will slide into delinquent behavior. Many are destined for welfare or prison. Illiterate children grow up to become illiterate adults. "More than 20 percent of our state’s population, or nearly 400,000 people, can’t read," says one longtime Oklahoma educator with a doctorate in education. After reviewing the most recent literacy data produced by the federal government, Martha Gregory, a researcher for the Tulsa City-County Library System, concluded that "the record for the nation is abysmal and we [Oklahoma] are for the most part in step." Fully 43 percent of Oklahoma's adult population reads at a 7th-grade level or lower. Appallingly, more than half of Oklahoma’s high-school graduates — and fully 13 percent of Oklahoma’s college graduates — read at at a 7th-grade level or lower. This massive failure is as unnecessary as it is heartbreaking. "To teach a child to read properly is not difficult," says education author Douglas Wilson. "Local education professionals have made it seem difficult, and the entire process has been shrouded with arcane professional terminology. But the only term that concerned parents need to know and understand is phonics." "It's almost a sin what we're doing to our children," says phonics tutor Sylvia Brown, a former public school speech pathologist, assistant principal, and principal in Tulsa. "In my 30-some years of teaching, I have not met a child who couldn't read when we go to the basics and teach him his alphabet then teach him his sounds. I haven't met one yet. Maybe there is one out there on this planet, but I don't believe there is." Your child needs a strong foundation in phonics. He or she needs to be taught — in a direct, systematic, and intensive manner — how to match sounds with the letters that spell them. In the words of world-renowned reading expert Siegfried Engelmann, professor emeritus of education at the University of Oregon: "If your child is not reading by the end of the first grade and is not retarded (IQ below 75), do not accept excuses that blame your child." 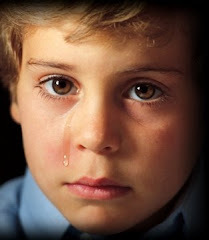 Do not allow your child to be a victim of a teachin' deficit disorder. He or she can learn to read. Excuses — such as "your child has a learning disability," "your child has emotional problems," "your child is dyslexic," or "your child just isn't ready" — are not acceptable. To find out how well your child can read, use this reading competency test. If your child is in a public school and is not learning to read, you must ask the school to give your child a firm foundation in phonics. If your child is a special-education student — if he or she is on an individualized education program (IEP) — he or she is eligible to receive a Lindsey Nicole Henry Scholarship to attend a private school. Whether or not your child is in special education, you can apply for a private-school scholarship from philanthropic organizations such as the Opportunity Scholarship Fund, GO for Catholic Schools, the Catholic Schools Opportunity Scholarship Fund, or the Oklahoma Scholarship Fund. Or, you can do it yourself. My wife and I recommend the book below. As she will be quick to tell you, teaching your child to read may turn out to be the most fulfilling thing you'll ever do. I have no doubt that her heart was in the right place, but still -- you cannot put students in the trunk of your car. Black students in Oklahoma City, that is. Says the local superintendent: "If we don't intervene and do something now, then we know their pathway." "Brittany Blake, 16, went to school each day on guard; she was being targeted by bullies," Terry Hood reports from Moore. Writing poetry was her refuge; detailing her daily clashes with bullies. “People were always pushing me into lockers, knocked me down, knocked stuff out of my hands,” Brittany said. Physical abuse she documented with pictures, but kept secret from her family, including her mother, Vicky. “We live with the girl every day and we didn't have a clue,” Vicky said. She said, looking back, she didn't pay attention to the signs. “She'd wear heavy makeup, I guess, and long sleeves when it was warm outside, said it was cold in the classrooms, so she'd wear a jacket to hide her bruises,” Vicky said. Brittany eventually left her central Oklahoma school and started a homebound program, but the bullying followed her on social media. "Families, not universal preschool, matter most for children's well-being," write Lindsey M. Burke and Rachel Sheffield. Hips don’t lie, but numbers do. Kate Scanlon has the story. "The early childhood school debate sometimes misses the heart of the matter," writes Russ Pulliam. The early childhood push originally was aimed at at-risk children, those growing up in homes without enough sophisticated adult talk or missing parents who would know how to prepare them for school. But sometimes advocacy slides more toward universal pre-K education that’s supported by taxes. Jim Strietelmeier works with at-risk families through Neighborhood Fellowship in another low-income area of Indianapolis. He’s zealous for helping families in need but thinks the pre-K campaign has gotten carried away. "I would be against universal preschool because it feeds into an American greed that will eventually destroy family relationships," he said. "Policy should be geared toward parents educating children in those pre-K years, to build family responsibility. When you detach children from familial relationships, you have an increase of psychological problems." As a foster parent, he knows that some young ones should be removed from the home. But he is wary of the broader push away from family. "Parents nurturing children will prevent the decay of society," he said. "We are tearing at family fabric when we separate children from parents." 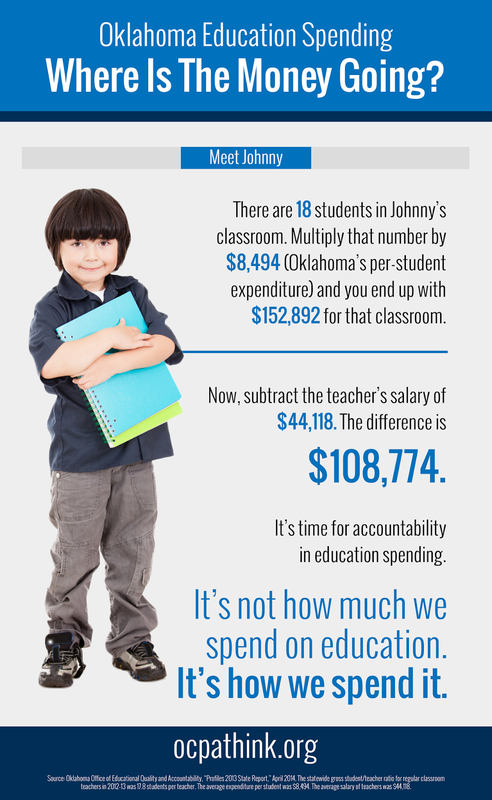 "Most Oklahomans do support raises … for good teachers," the state's largest newspaper notes today in an editorial. But blanket pay raises are typical in schools — and potentially counterproductive. A 2014 study by The New Teacher Project noted lockstep teacher pay can actually encourage poor-performing teachers to remain in school while incentivizing good teachers to leave. "The amount of taxpayer money that goes toward rewarding poor teaching is staggering," the report said. "Last year, schools in the U.S. spent a conservative estimate of $250 million giving pay increases to teachers identified by their districts as ineffective." A true performance-pay program that financially rewards good teachers could resolve that problem. Hats off to KD for paying a visit yesterday to the kids at Positive Tomorrows, a school that serves homeless children. You'll love the kids' reaction in this video. Why aren't Republicans trying harder to reach school-choice voters? Excellent post by Michael Brickman here. "A leading member of the Klan in his earlier years was Supreme Court Justice Hugo Black," Mark Bauerlein reminds us over at First Things. "He was third in command of the largest Klavern in the United States. It was Justice Black, of course, who revived Jefferson’s line and planted it into American jurisprudence." Former Gov. Frank Keating (a Republican) and former state treasurer Scott Meacham (a Democrat) took to the pages of The Oklahoman last week to sound the alarm about Oklahoma’s very serious educational-performance problems. “It appears policymakers, the education establishment, and even a vocal minority of parents in Oklahoma are in a state of denial when it comes to what’s happening,” they wrote. Are Oklahoma parents really 'ignorant and stupid 80 percent of the time'? Jonathan Gruber, an Obamacare booster who has repeatedly mocked the American people for their alleged stupidity, testified before Congress today. Unfortunately, he's not the only Democrat who has evinced contempt for we the sheeple. I wrote in 2010 about a Democratic state lawmaker in Oklahoma who wants politicians and bureaucrats — not parents — to choose schools for children. As he put it, parents "may think they know what's best, but do they?" And yesterday on Twitter, a Democratic political consultant in Oklahoma was similarly forthright with his antipathy to parental choice. @brandondutcher because Oklahoma parents are ignorant and stupid 80 percent of the time. I disagree. And I continue to believe that Oklahoma parents have the right and the responsibility to choose schools for their children. OCPA president Michael Carnuccio has an excellent column this week in The Journal Record in which he makes mention of this blog. Readers wanting more information about school-safety issues should check the Unsafe Schools category or the Sexual Abuse of Children category. Do Parent Trigger laws work? Ever since parents began using California’s historic Parent Empowerment Act, a key question has followed our work around California and the nation: Does parent power lead to student success? We know that the challenging nature of school transformation efforts means that it will take years to more conclusively answer that question. Almost all student assessments were suspended in California schools last year due to field-testing for new Common Core-aligned assessments. This data, while very limited in nature, also aligns with the parent survey data gathered at the end of last year, in which 91 percent of parents at Desert Trails Preparatory Academy and 83 percent of the parents at 24th Street Elementary said their schools had improved from the year before. Kathy Duncan, a parent of two Desert Trails Preparatory students, shared her satisfaction with the school’s transformation: "As a parent, I am happy to send my child to DTPA. Everyone was happy the first day. I saw new faces that had never seen before. I would like to shine a light on [Desert Trails school leader] Ms. Debbie Tarver and her staff. My children, Jeremiah and Evelyn have had an exceptional time at DTPA." While this data doesn’t paint anything close to a complete picture, it’s promising. Chief Strategy Officer Gabe Rose explains, "We of course cannot draw conclusions based on one subject test during one year, but the emerging evidence at these schools gives us an abundance of hope that we are on the right track, and can’t wait to share all data we gather with parents as they organize to do what’s best for their kids. We know from research that at best, only 25-30 percent of school turnaround efforts generally succeed, but we are confident that the consistent presence of organized and engaged parents will make our efforts substantially more successful." Yes, it matters to close the political power gap and to empower low-income parents of color. It’s not only the right thing to do, and it can, does, and will turn schools around so they work better for all kids -- because all kids matter. What's the OEA's financial status?